In November 2010, a bold prediction that China was poised to become the global leader in life sciences innovation by 2020 was met with incredulity from many in the West. "When our thought paper was published, the reaction from people in charge of R&D in the US and Europe was typically: "Oh, you must be kidding"," recalled George Baeder, who was leading consultancy Monitor Group's Asia life sciences practice at the time. Others, who were more aware of the rapid changes in China, figured this scenario could well take place - in 20 to 30 years. Two years later, few are resisting the idea any more. "It's quite the reverse - there is a real focus on Western companies figuring out how to participate in the shift to China that is underway," said Mr Baeder, now senior vice-president of Asia Pacific consulting at Quintiles. "If anything, it's happening faster." In recent years, virtually every big-name pharmaceutical firm has started R&D operations here. Among them are Merck Sharp &Dohme, which plans to invest US$1.5 billion in R&D here over the next five years, and Bayer Healthcare, which moved the global authority for its primary care business from Berlin to Beijing. And to serve the burgeoning demand from both local and multinational firms in China for services from managing clinical trials to preparing regulatory submissions and biostatistics, Quintiles has set up a US$14 million headquarters in Shanghai in June, among other expanded facilities. China's draw lies not just in its massive health-care demand. Analysts say firms can potentially invent, test and bring a drug to market faster and more cheaply here than in the West. "China's talent and cost advantages are the reasons for more Western giants expanding here," said market trends company Zero2IPO group general manager Feng Suqiang. The world's No 2 economy is building up a pool of China-born, Western-trained life sciences PhD holders to drive the sector. At least 80,000 such scientists have already returned to China, according to the 2010 Monitor report, which predicted an acceleration of this trend. Meanwhile, the local authorities are dangling preferential rental and tax rates on cutting-edge facilities to house brand-name or promising companies. At least a dozen local governments from Shijiazhuang city in the north to Suzhou in the south have set up biotech parks of late, up from just five in 2010. 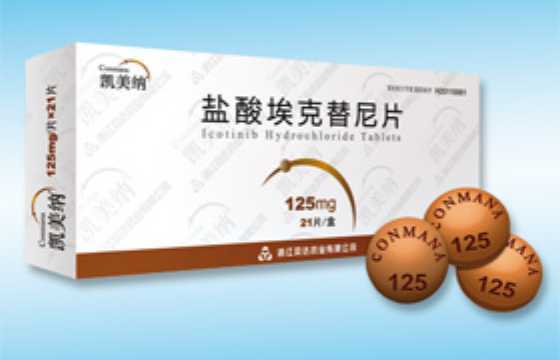 But what could really prove to be China's advantages as a biotech hub is the recent launch of new products such as Conmana. A cancer drug entirely developed in China by Zhejiang Beta Pharma, Conmana has drawn attention after being shown to be faster-acting and more effective than a foreign anti-cancer drug in comparative trials. It reportedly took just six years to be developed and brought to the market, at a cost of only about $30 million. In contrast, the average cost of developing an approved drug in the traditional way is over $1.9 billion and clinical trials can take 13.5 years, according to a report this month by Office of Health Economics, a British think-tank. Mr Baeder expects that when word gets out about Beta Pharma's more cost-effective process, potentially through a stock market listing next year, the "financial community is suddenly going to see a completely different way of developing products". The traditional model has typically started with developing a drug in the West and then conducting clinical trials across a few dozen markets - a large-scale process that jacks up costs. But now, firms may opt to conduct the whole process in China, which offers the largest population on Earth for collecting clinical trial data, and the biggest market in many drug categories. And a poster boy for this new model is Beta Pharma. Its successful listing could help convince investors that China has the potential to create a more vigorous pipeline of new products. This in turn could spark "a stampede of companies trying to figure out how to leverage China as the focal point for new product development", said Mr Baeder. And it may not be too long before China makes the next breakthrough discovery. "One notable area where China is already making certain headway globally is in genome sequencing," pointed out Lin Hui-Yi, the China research head for consultancy Grail Research. Baeder added that China could see the creation of "truly innovative medicine being used to treat patients as part of clinical trials within the next six to seven years". Still, some analysts, such as Feng, are sceptical. China has the talent and technology, but lacks the capital to create a breakthrough product, he noted. "A widespread problem for Chinese firms is that their financial clout is insufficient." Beijing has pledged to raise funding for life sciences to 2 trillion yuan ($320 billion) up to 2015. And some local governments are playing venture capitalists to support biotech firms. Among the latest ventures is the 250 million yuan Henan Broadhi Biological Fund, which counts the Henan provincial government and China's top economic planning agency as key investors. All this has also whetted the appetite of private investors. In the first half of this year, eight private equity deals in China's biomed sector worth $620 million were inked, two-thirds of the $953 million invested for the whole of last year, said consultancy AVCJ Research. cheap gucci uk sale, combining elegant style and cutting-edge technology, a variety of styles of cheap gucci hoodies uk sale, the pointer walks between your exclusive taste style.